So we're already two weeks into the new year, and like most people who actually make resolutions, I'm still trying to follow through with mine. Most of them on my list were the typical "lose weight" (almost there), "drink less" (still working on that) and "spend less money" (impossible with Amazon Prime) that makes everyone's list every year. But the ones that are really the most important to me are my resolutions to be more present with my family and to focus on self-care. I get sucked into social media pretty easily--seriously, who doesn't? But because my R+F business is 99% online- posting, training, and communicating- I have to be focused on what I'm doing throughout the day so I'm not constantly on my phone. I've had to really be more conscious about setting time aside for "work"- like when the kids are napping or after bedtime. This is good for two reasons: My business is super flexible so I can still work when I need to and I don't always have my phone on me 24/7. It's a small change but will likely make a big difference. My resolution to focus on self-care isn't just one thing in particular. It's going to get a pedicure by myself, meeting friends for drinks or coffee, getting some time each day to just sit in silence. It's forcing myself to get out of my yoga pants and exercise clothes and actually WEAR the clothes in my closet. Seriously though, it's so difficult to find the motivation to look like an actual functioning member of society when you're at home with two young kids. I wore jeans 4 times last week. FOUR TIMES. But aside from that, I've also vowed to push myself a little outside my comfort zone by meeting new people and trying new things. It's so hard to do both of these things as we get older. We don't have the time, it intimidates us, we can't find something (or people) that interest us, the list goes on and on. We just keep making excuses and months and years go by and nothing has happened. Regrettably, this has been me for the longest time. 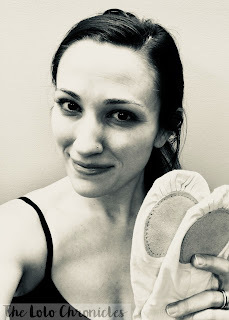 So, I started the year off with something that has forced me to meet new people and try something different: I enrolled in a 10-week adult ballet class. Yep. I'm 31 and back in a leotard. I've wanted to do this for a LONG time. I'm always researching dance studios and classes in my area but I'm usually super intimidated by what's offered. Other than my yearly appearance to dance with the VCU Gold Rush Dancers and Alumni (and the daily dance parties in my kitchen with my kids), I haven't actually d a n c e d in like, a really long time. I wasn't ready to throw myself in a class of "adults" (read: 18 year olds) and look like the old lady who's trying to make a comeback. Because let's be honest-It's been at least twenty years since I've done a single tendú. I came across the opportunity just about a week ago when a former co-worker of mine had posted about a local studio offering the class. I saved the info, thought about it for a couple of days, and sent it to Greg. It's a time commitment- every Saturday for an hour for 10 weeks, so I texted him and said, "Can I do this?" Thankfully he didn't laugh, but told me I absolutely should, and I registered right away. And because I'm such an emotional mess, when the music came on and the director came over to correct my alignment when I was in élevé, my eyes started to well up. I kept thinking, "OMG don't cry, don't cry, don't cry!" 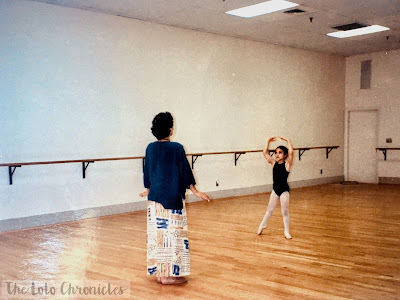 I literally had to talk myself out of becoming a blubbering mess. 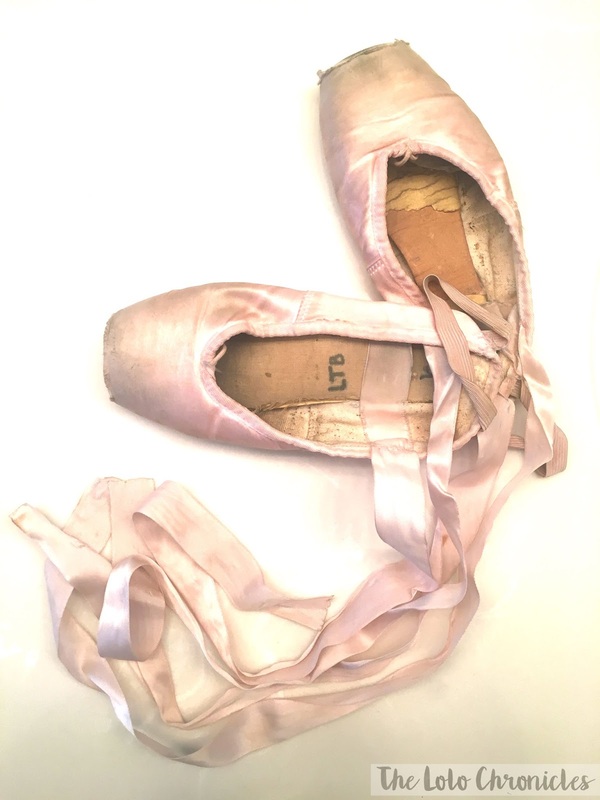 I had a lot of emotions rush over me all at once- the memories of those early Saturday mornings decades ago during rehearsals, the excitement of my first pointe shoes, the sounds of the teacher and the music. Those were the best memories. And then I just instantly had this huge feeling of accomplishment. I'm doing this. I'm ACTUALLY doing this. So there you have it. There's a lot on my plate for this year. I've set big goals for myself and there are a lot of things I want to change, but I think I've set myself up to be successful. I want to be a better mom and wife, I want to be healthier, and I want to continue to grow and learn. In order to do that, I need to push myself just beyond what I'm comfortable doing. Maybe this is my pre-mid-life crisis- who knows. What I do know is 2018 will be a great reset button for me to work on myself so that the other areas in my life will be better too. What are your resolutions? What things have you wanted to do that you keep putting off? Stick to them. Make yourself feel proud and accomplished.